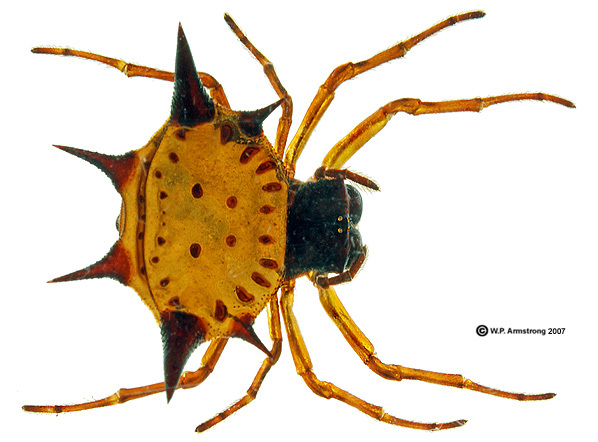 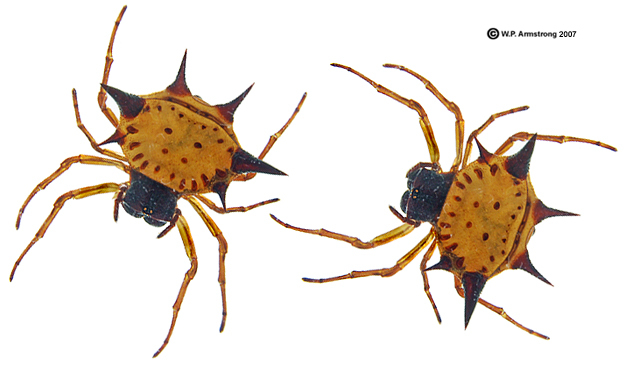 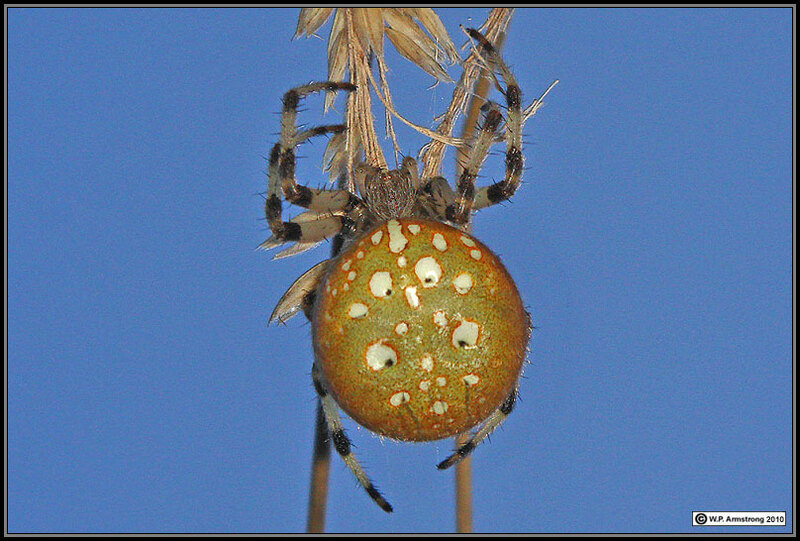 Orange variation of female Araneus gemma. 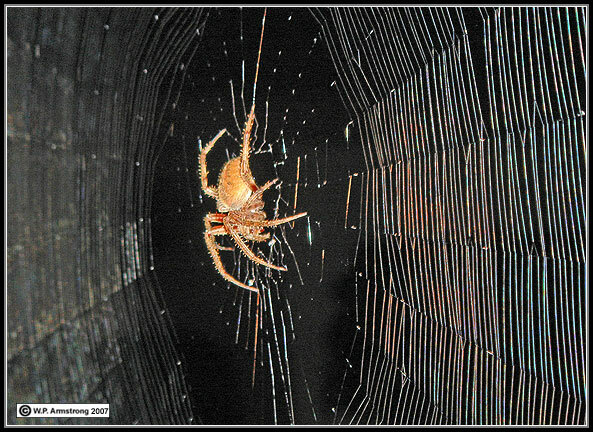 This image was taken 13 August 2011 at 10:00 P.M. in San Marcos. 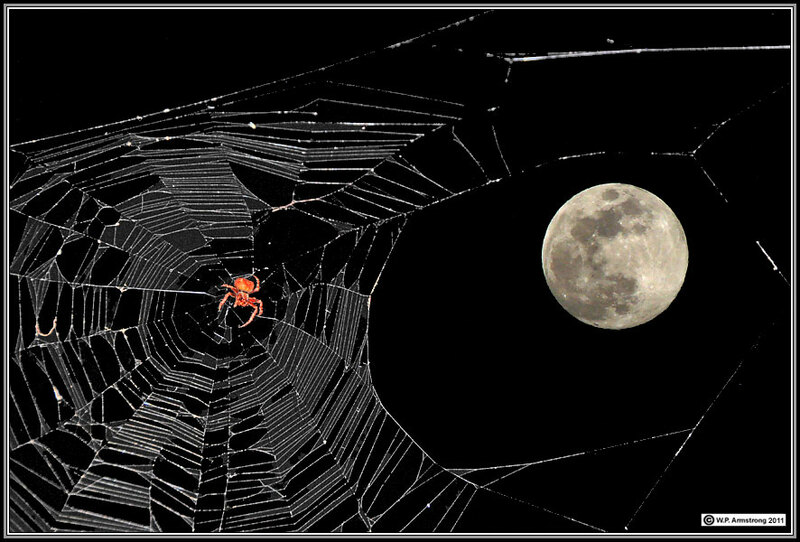 From my perch on a tall stepladder I was able to get the moon and spider in the same frame; however, to get both subjects in focus I had to take two images and merge them together with Photoshop. 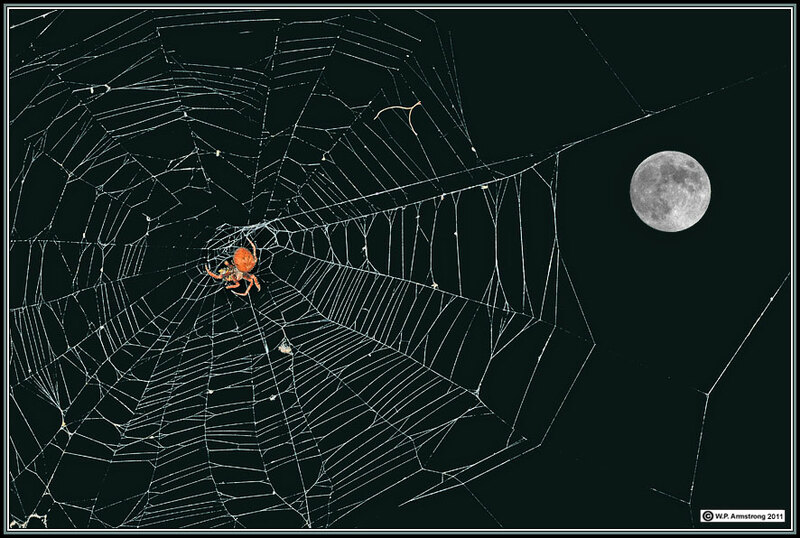 The moon was brightened a little because of a fog bank moving in front of it. 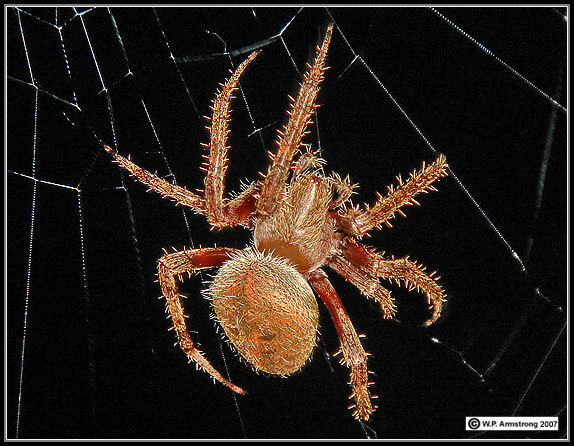 Photographed with Nikon D-90 with a 60mm Micro Nikkor AF-S F/2.8G ED Macro Lens & Nikon SB-400 Flash. 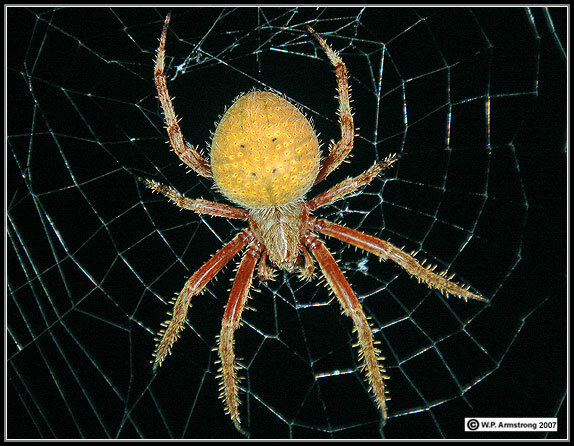 Orange variation of female Araneus gemma. 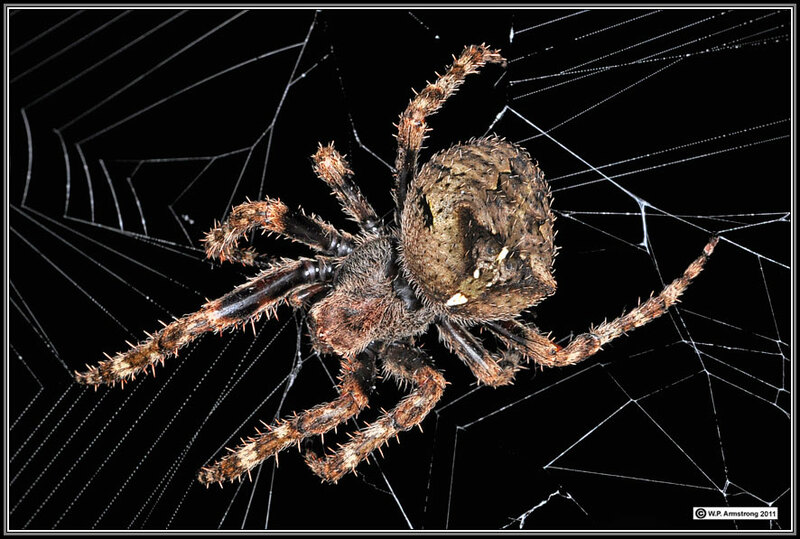 Photographed with Nikon D-90 with a 60mm Micro Nikkor AF-S F/2.8G ED Macro Lens & Nikon SB-400 Flash. 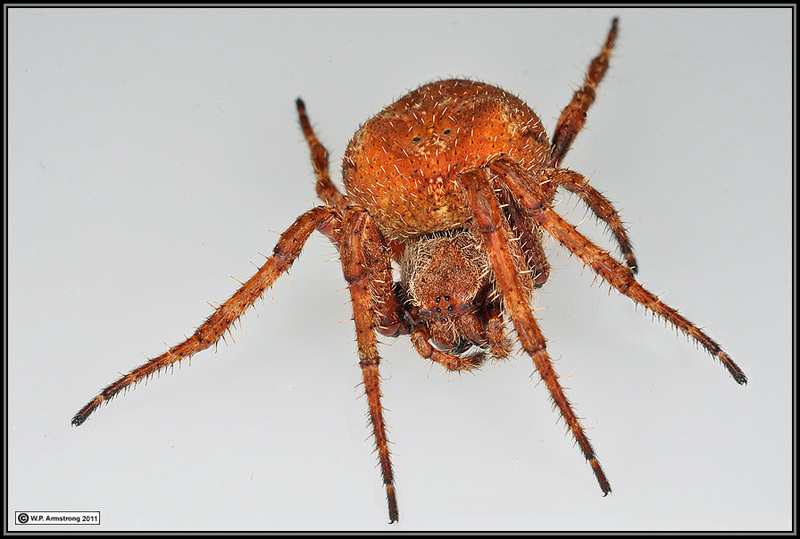 Orange variation of female Araneus gemma. 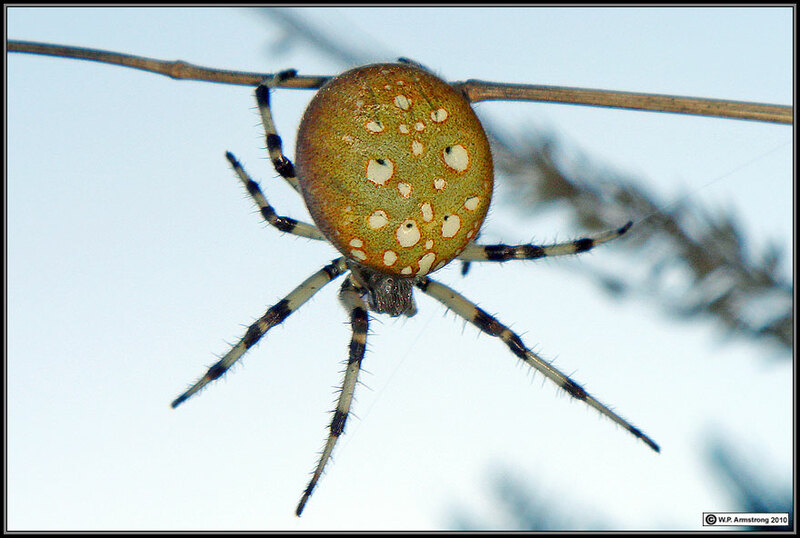 Other color variations are brown or gray. 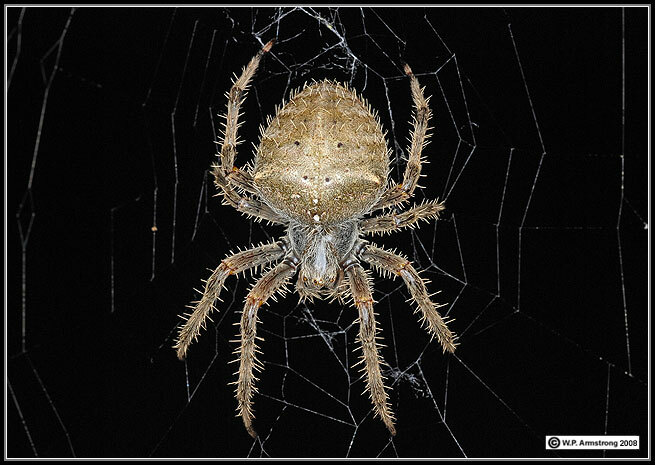 Photographed 3 August 2011 in San Marcos with Nikon D-90 Digital SLR with a 60mm Micro Nikkor AF-S F/2.8G ED Macro Lens & Phoenix Ring Flash. 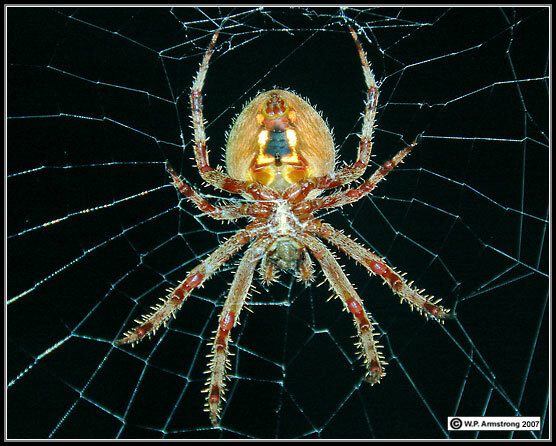 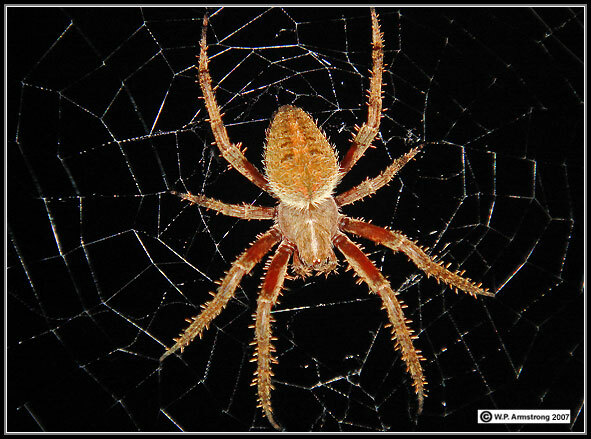 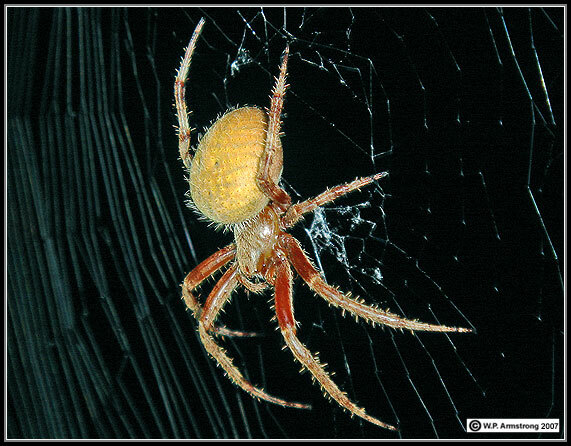 An orb weaver spider (Araneus gemma) in its web. 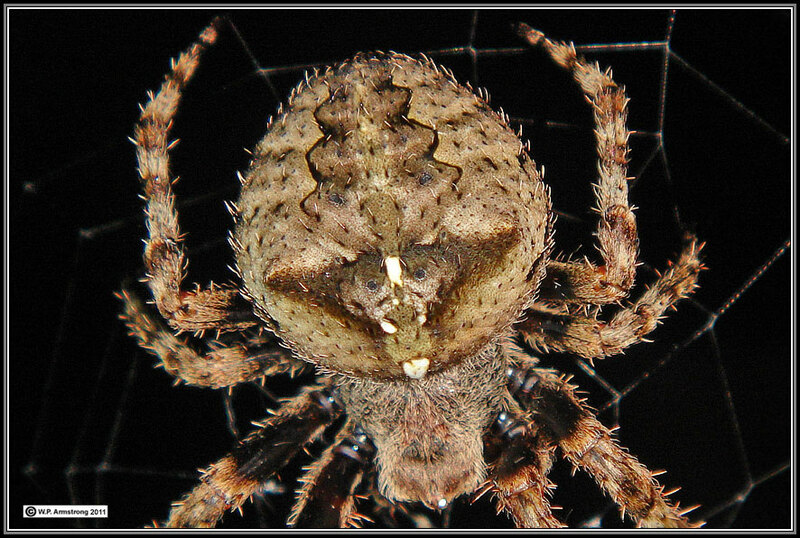 Araneus diadematus in Vancouver, British Columbia. 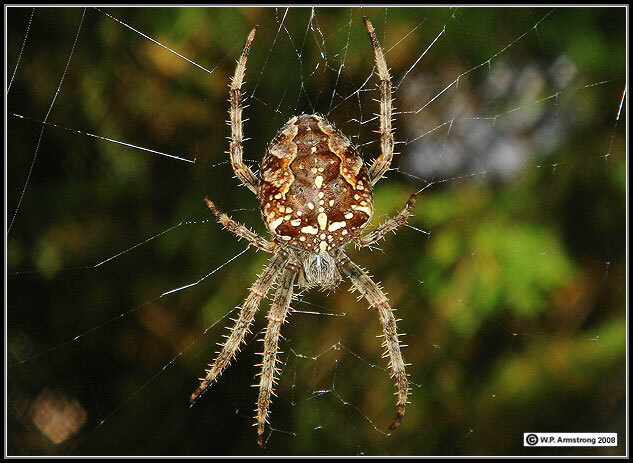 Shamrock spider (Araneus trifolium) at Prairie Creek Redwoods State Park. 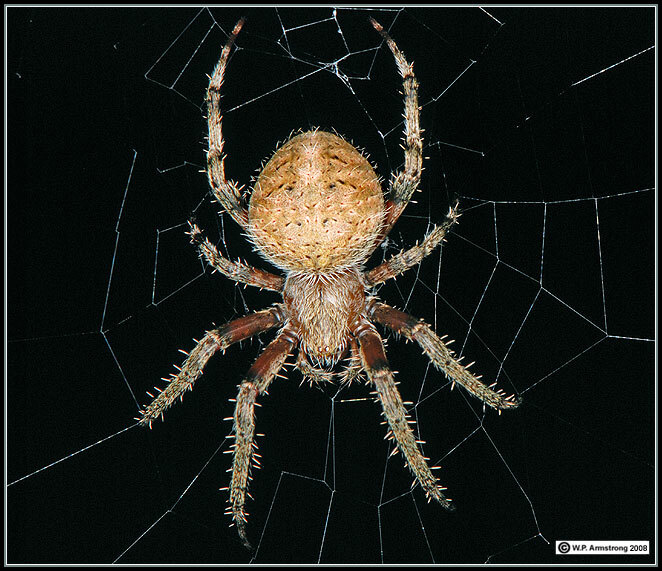 It appears to have anterior paired dorsal humps on abdomen. 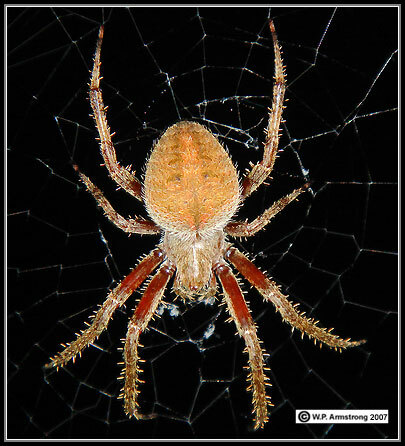 Click on the image to see ventral view? 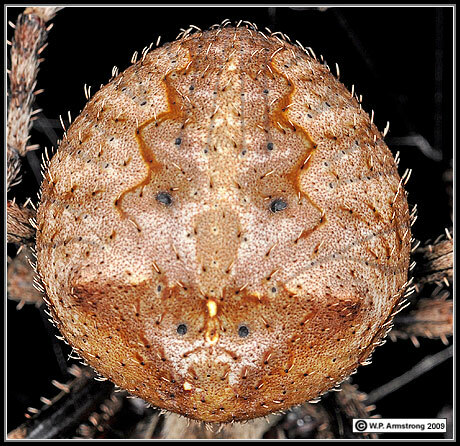 Scroll down for more dorsal views. 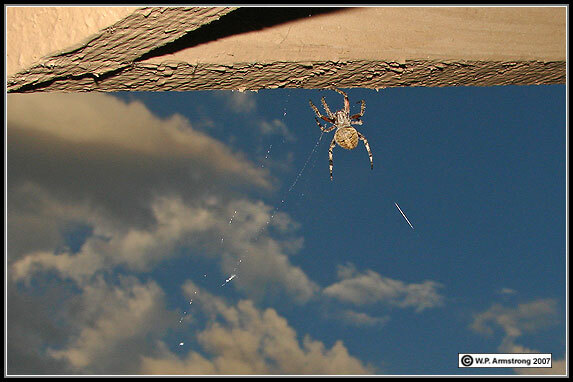 Orb weaver spider eating its web as it climbs back to its daytime hiding place under the eaves of a house. 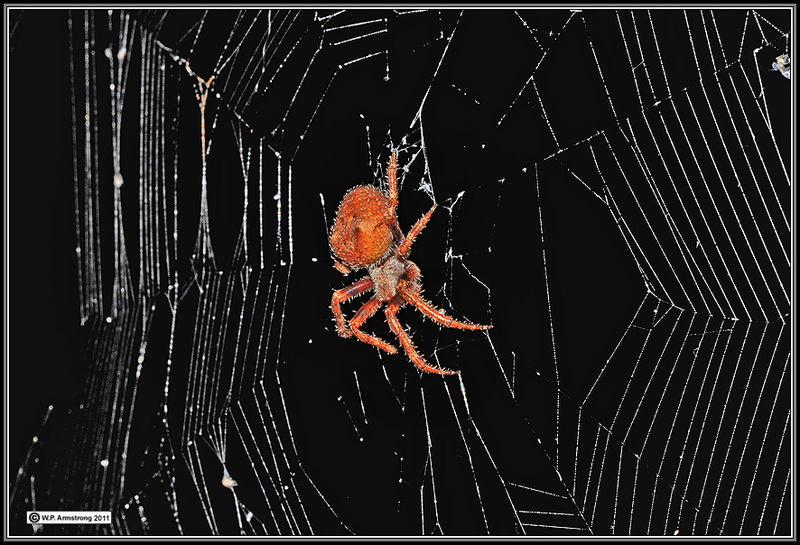 Each morning this spider completely consumes the elaborate web it constructed the night before. 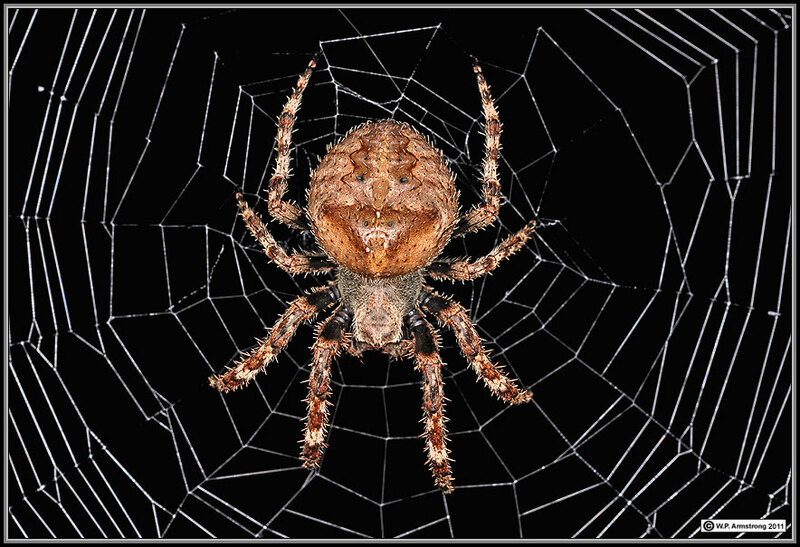 Each evening it builds another beautiful web and waits patiently in the center until the following morning. 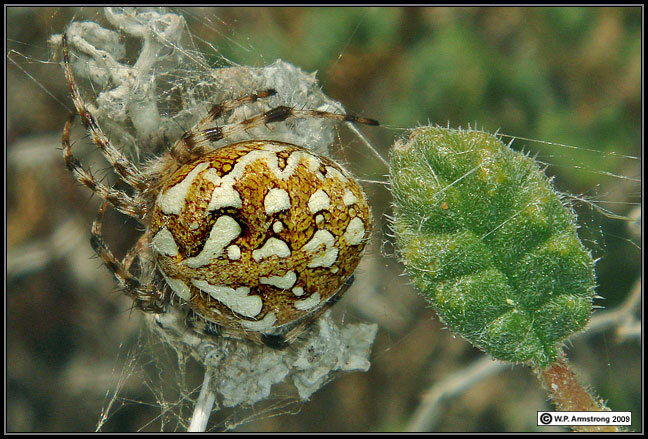 An orb weaver spider (Aculepeira packardi, Araneidae) on Tiquila palmeri. 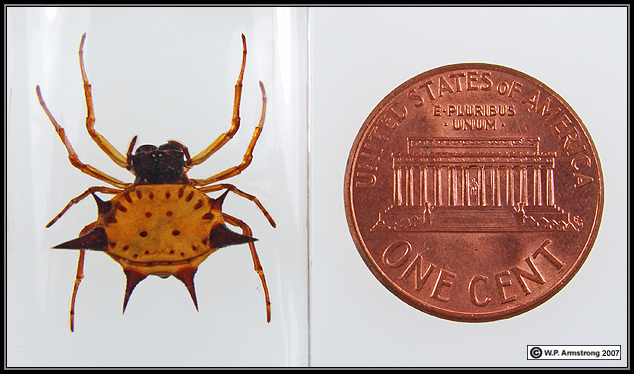 Determined by Jim Berrian, entomologist at San Diego Natural History Museum. 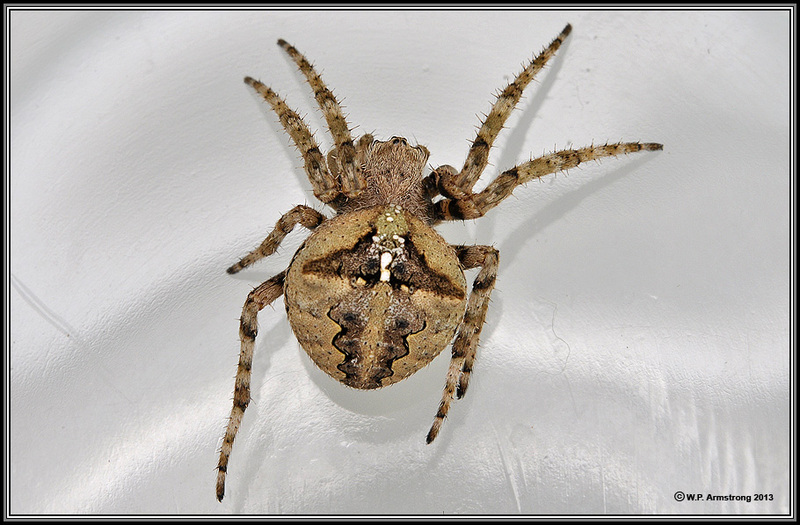 Spider embedded in clear plastic pendant. 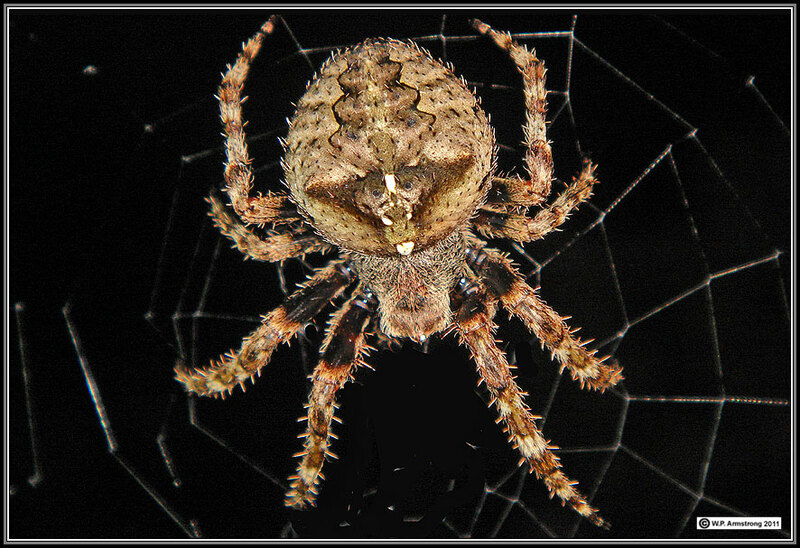 Photographed on fluorescent light box.